Have you experienced being attacked by a farm animal wondering the wild? 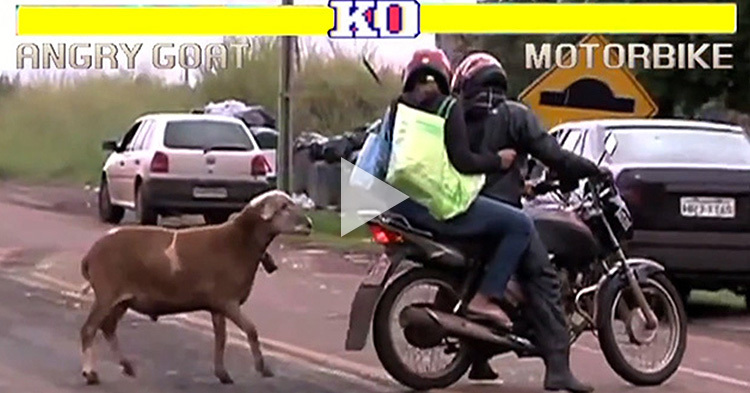 Have you ever imagined that a goat can be aggressive to every people it encounter? 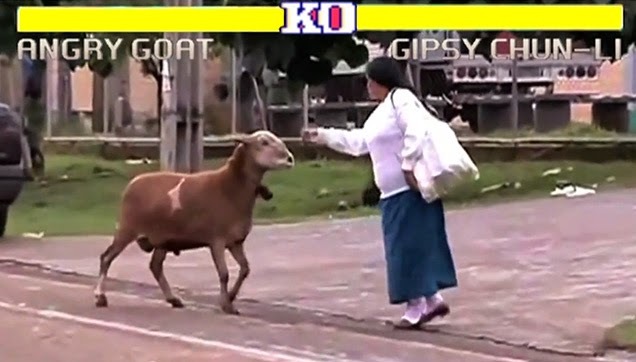 An amateur video shows an angry goat attacking random people on the venue. 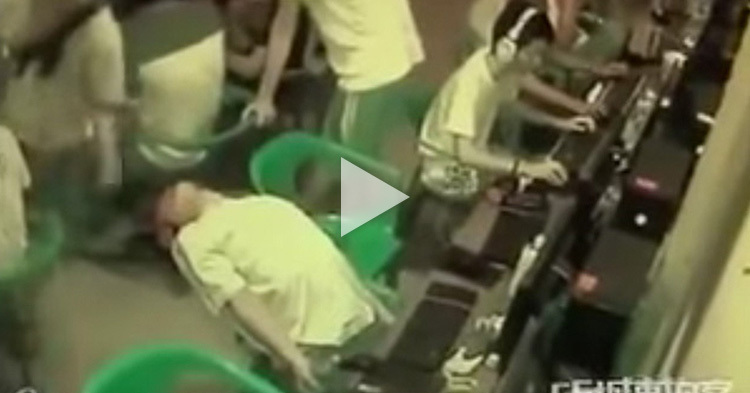 But someone made it funnier, the video now include the popular Street Fighter Theme and Effects. 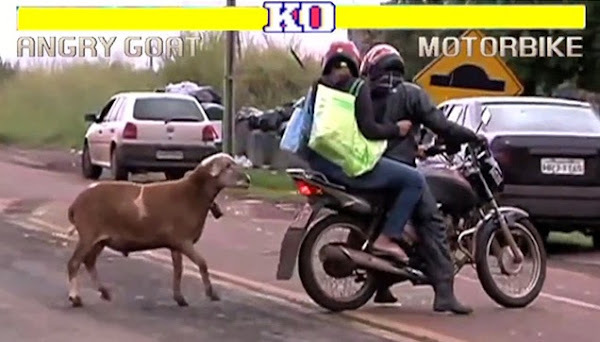 Captured from the video where the goat attacked random people. The video starts with the opening scenes from the popular game, Street Fighter II. Then the player one will select the Goat. The first challenger is a Motorbike, carrying a couple. 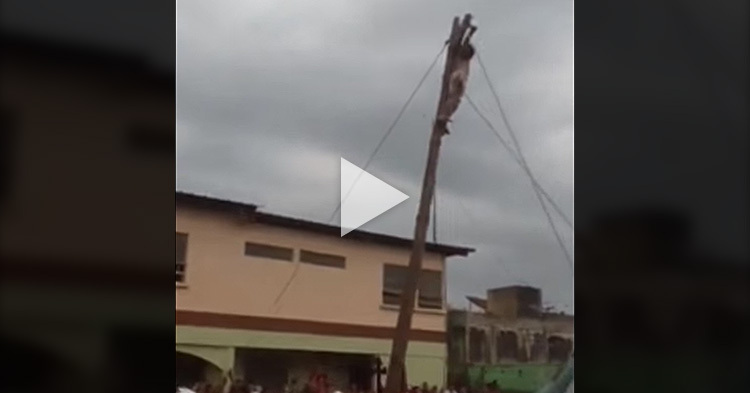 They are about to leave the area when the Angry Goat charged and attacked them. Then the background announced "You Lose!" just like the game. The first victim, a couple riding on a motorbike. Then the 2nd Challenger, a woman crossing the street. The Angry Goat started following her and she tried to avoid it but she failed. The goat pushed her over and she fell down. 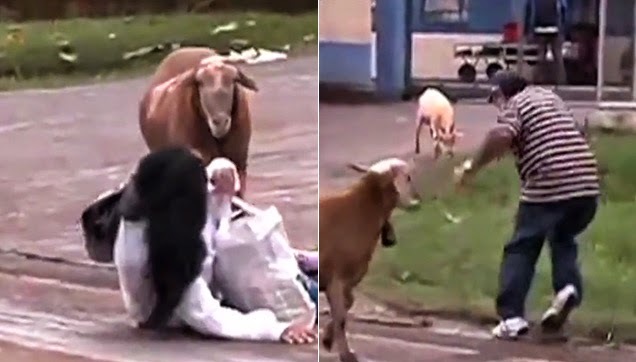 The goat attacked the poor lady. 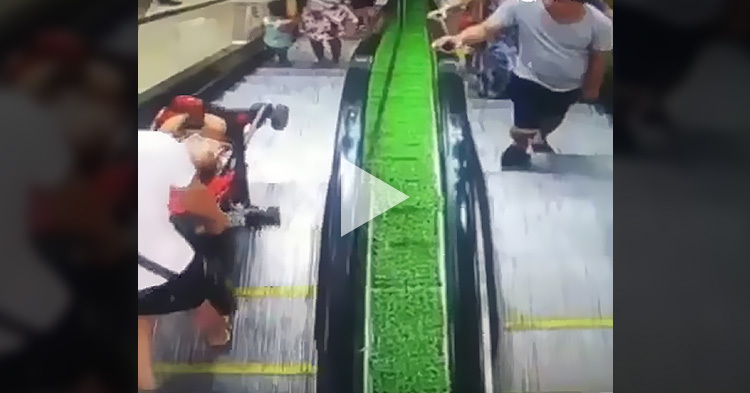 And the last Challenger on the video, the man who is trying to save the woman who fell down. He suddenly came into the scene, trying to help the lady. The hero who saved the lady. 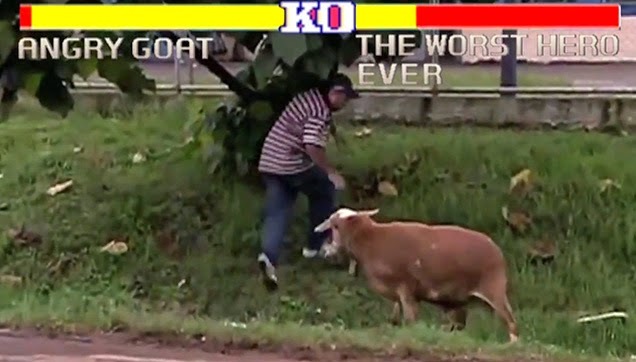 He kicked the Goat, but he missed. Then the goat started targeting him, the first attack was successful, the second one, he evaded it, then he strike back at the goat and ran under the tree. Unfortunately, the goat is so fast and took another hit on him. Watch the video to experience the epic Street Fighter II game.